Ladies Nightwear - at the end of a long hard day, there’s nothing nicer than slipping into your favorite sleepwear - whether it’s a nightgown, chemise, sleep shirt, or even a luxurious pair of pajamas, nothing compares to comfortable nightwear as you relax before heading off to sweet dreams. From a behind the scenes look at sleepwear sizing and styles to the magic of stretch fabric and adjustable fundamentals, we reveal the best ladies nightwear tips and tricks that will give you a great fit every night. Women often find themselves frustrated with nightgowns that aren’t long enough, and it’s a common belief that opting for the next size will result in a longer fit. The truth is, sizing up typically makes clothing and sleepwear gradually bigger, but it really doesn’t add much in the way of length. Solution - Instead of going bigger, look for brands like Hanro, P-Jamas, and specialty lingerie retailers that offer long nightgowns, or specially designed for taller shapes. Online is a great place to start - the trick is to take a closer look at the sleepwear measurements (retailers usually post them in the item description) and compare them with your silhouette. When it comes to ladies sleepwear that looks and feels great, one of the most challenging areas is the bust, particularly for larger busted women. Often overlooked but critical to a great fit, it’s important to pay attention to how a nightgown sits along the bustline. While the bodice and sleeves of a nighty tend to offer more room, a comfortable fit along the bust can be a trickier bet. If it’s too tight or too loose and doesn't fit comfortably, the chances are greater that sleepwear will end up forgotten at the back of your intimate apparel drawer. 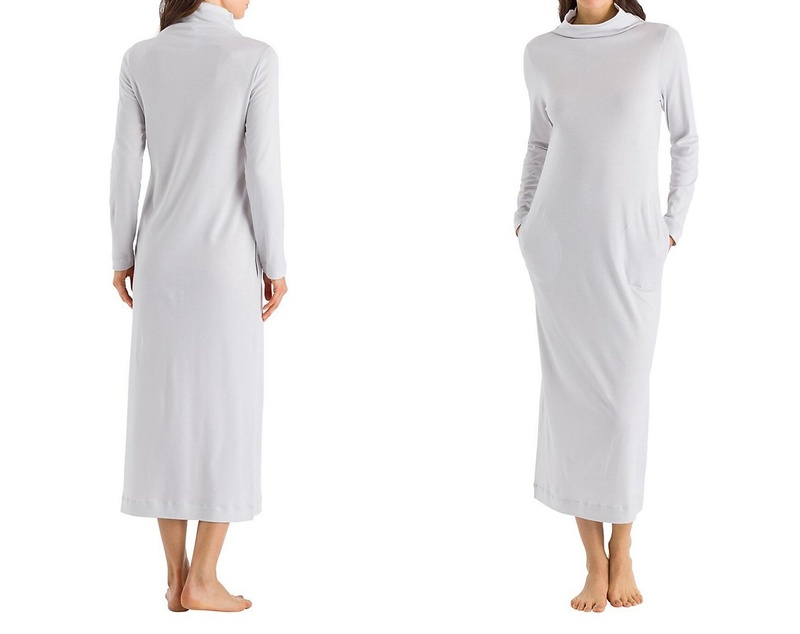 Solution - Ladies Nightwear in stretchy fabrics that have a touch of spandex, or styles that include pin tucking along the bustline are more forgiving and offer a more comfortable fit. With structured sleepwear with a built-in underwire, like a chemise or babydoll, use your bra size as a guideline to get the shape and support that you want. If you find yourself between two nightgown styles or sizes, opt for the looser fitting nightgown over a more fitted style for a more comfortable fit. 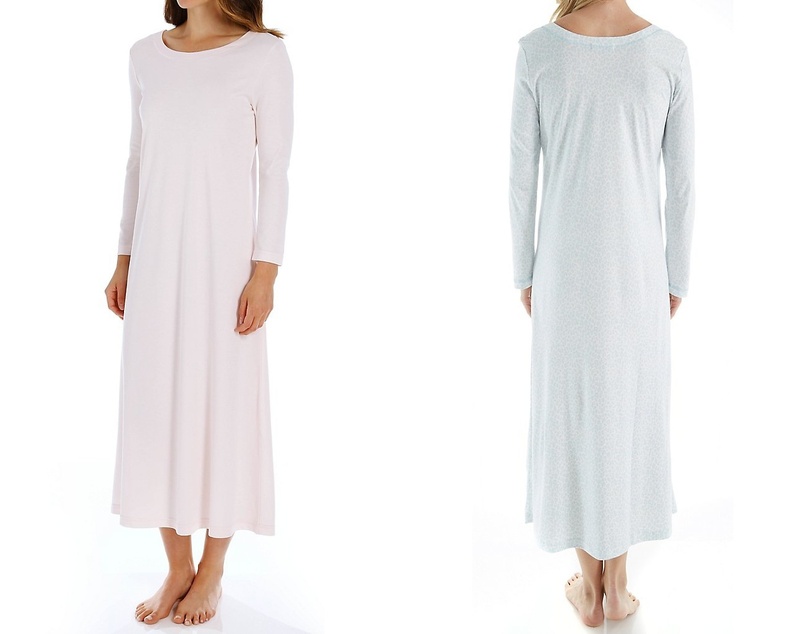 Nightgowns, pajamas, and ladies nightwear in tightly woven fabrics like silk, satin, or cotton offer no stretch and are much less forgiving fit-wise than popular knit fabrics like microfiber, jersey, and cotton blended sleepwear. Much like a stretchy t-shirt that’s easier to wear than a tailored blouse with no give, women’s nightgowns in stretchy fabrics move with your body and offer a better fit. The secret? Spandex. Choosing a fabric with even a small percentage of spandex - an amazing fiber that allows fabrics like cotton to stretch - can make a significant difference in the way a nightie feels and looks. Man made and synthetic intimate apparel fabrics like rayon and polyester can be scratchy, irritating, and uncomfortably warm as they tend to hold the heat and are not breathable. 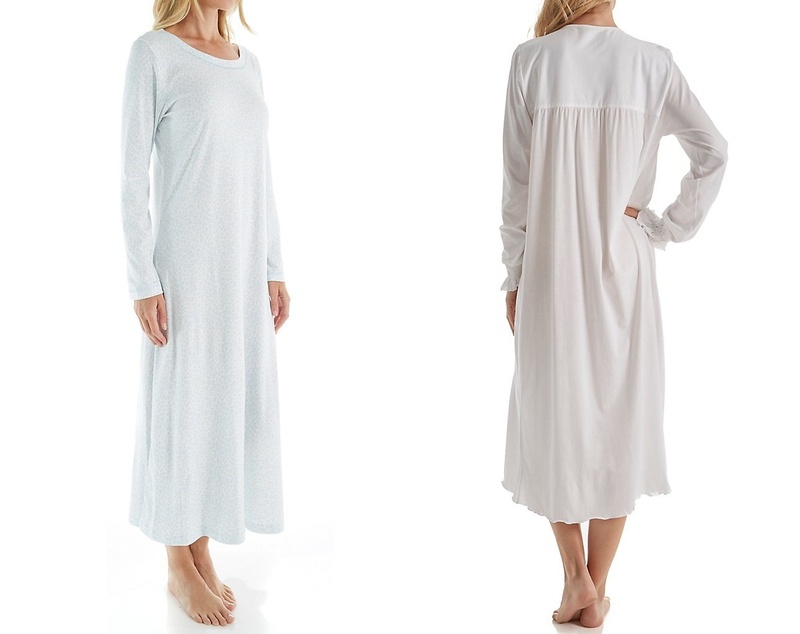 Nightgowns made from natural breathable fabrics like cotton and linen offer an easy and relaxed fit that makes for a great night’s sleep.